4 Star Restaurant Group owner Doug Dunlay, however, has a clear preference: “We prefer if customers pay in cash over credit card, as there is no fee associated with it. However, more than 90% of customers use a credit card.” While the credit card is much more common, it comes at a cost. “We pay on average 3% of each transaction in credit card fees. 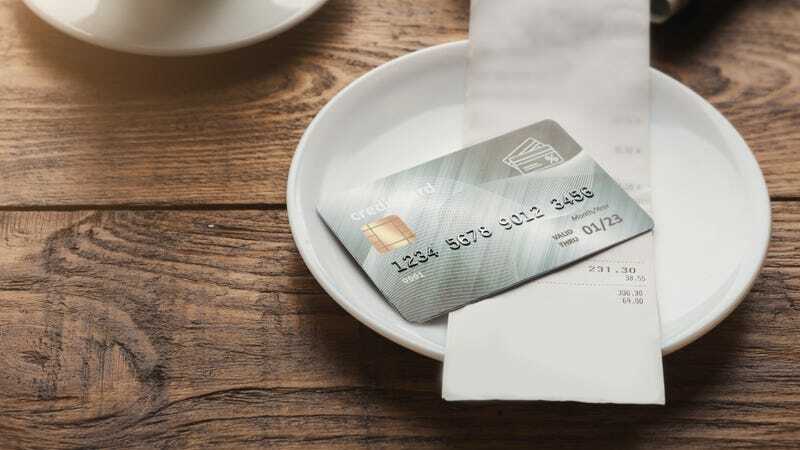 The credit card fees range from 1.9% to 3% and each rewards credit card (Southwest Rapid Rewards Visa, United Milelage Plus Card, Delta Skymiles Card, etc) charges an additional 50 cents fee per transaction. It adds up as the majority of our transactions are with a rewards credit card,” adds Dunlay. On average, he says his restaurant group pays over $800,000 a year in credit card fees. Still though, 4 Star is eating that cost, not adding a 4-percent credit card fee on to the customer at the end like Uncle T’s Oyster Bar did. But that may be another hint that cashless establishments are not about to take over the restaurant world just yet.